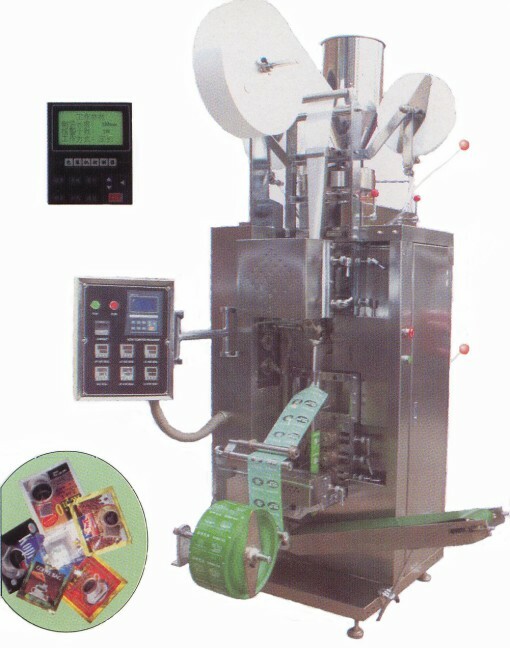 New Auto Dual Tea Bag Pack Machine with Thread, Tag & Envelope CH-10B. Designed for packing tea, coffee and medicinal herbs. All contact parts are Stainless Steel. 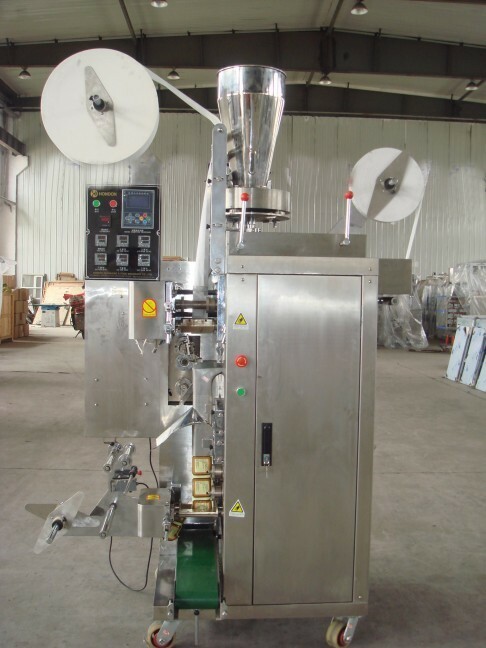 The machine forms the bag, measures the product, fills the product into filtering paper, seals and cuts the product while adding a drawing thread and can be packed into an envelope at the same time. Two Bag Sizes: 1) Length: 50-70mm x Width: 30-80mm, 2) Length: 60-120mm x Width: 40-90mm. Fill Range: 2-12 ml. (1-5grams) Capacity: 20-40 Bags per minute. Fill range and bag size are adjustable. Packing Material: FILTER COTTON PAPER, PT/PE, PET/PLATED AL/PE, PET/PE, BOPP/PE AND HEAT LAMINATES. Overall Dimensions: 1200mm x 850mm x 1900mm (48”x 36” x 76”). Weight: 700 Kgs. Electrics: 1Ph/60Hz/220Volts, 35kw. Delivery Time: approx 8 weeks from Receipt of 65% Deposit.